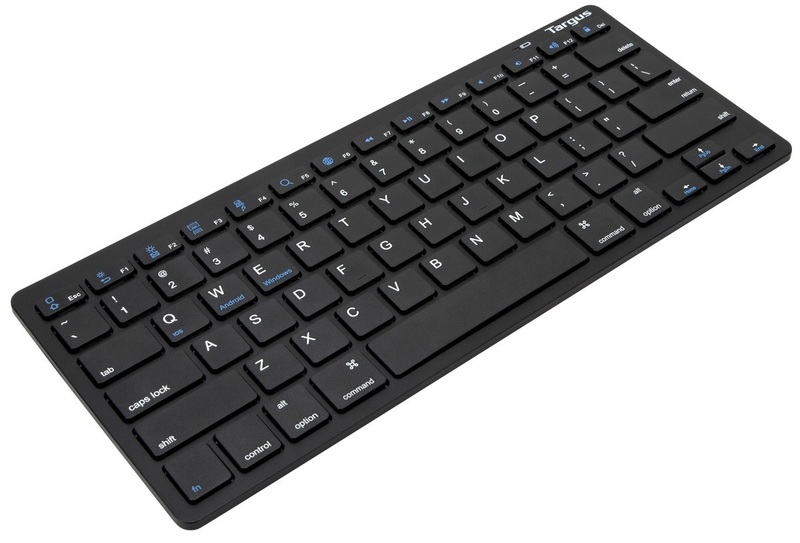 Targus India, one of the leading IT peripheral companies, extends its keyboard portfolio by announcing the launch of Ultra-thin multi-platform Bluetooth keyboard - Targus KB55 in India. At just 5.1mm, the keyboard integrates high-end technology and quality construction in an exclusively crafted design to offer an ultimate performance. Priced at Rs. 15,999/-, Targus KB55 will be available in the leading retail stores. Giving the term multi-platform a whole new definition, Targus KB555 is compatible with Windows, Mac, iOS or Android operating system. The Bluetooth 3.0 wireless feature helps connect it to a smartphone, tablet, laptop or desktop with ease thus giving the consumer utmost freedom of choice when it comes to using the keyboard with any device. Scoring high on its distinctive looks, this ultra slim keyboard makes for a compact and lightweight design, with no compromise on longevity, sturdiness and style. The scissor-switch keys are designed keeping in mind crucial factors such as endurance with greater durability and responsiveness, hence providing a better response with each press or swipe. The keyboard boasts of two AAA batteries and battery life indicator, which will alert you when they need to be switched out. Once the keyboard is connected, just flip on the power on/off switch and you’re ready to type away.